The Evil Within 2 is due to come out on October 13th and it’s set to bring quite a few changes compared to the previous entry, which released in October 2014. First of all, the revered Shinji Mikami (Resident Evil, Dino Crisis, Devil May Cry, Vanquish) is producing the game rather than directing it. In his stead, John Johanas is directing this sequel and he was recently interviewed by IGN. 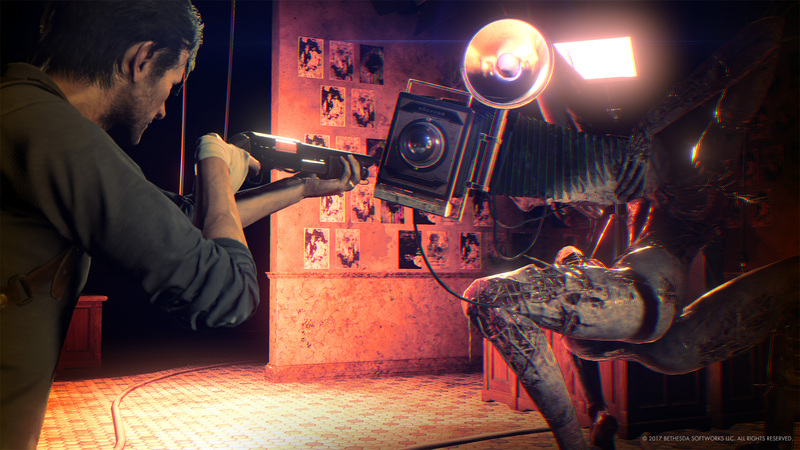 To begin with, he confirmed that The Evil Within 2 will not use the previous game’s 2.5:1 aspect ratio. We understand that it wasn’t something well received, even if internally we liked the direction. This time the game is played in standard format. The shifting realities around Detective Sebastian Castellanos will still be in this sequel, but they’ll be less disorienting to players. Shifting realities is a key part of the franchise and it exists in the game again, however thematically it won’t be as jarring as it was in the first game. Even with the disorientation, this time there’s a bit more logic to when and how it happens. Finally, Johanas said that even though this isn’t going to be an open world game, it will be much larger than The Evil Within and allow for more exploration and side objectives. The Evil Within 2 isn’t an open world game, but has sections where the maps get very large and open up a bunch of options for you. From an actual landmass perspective it’s the biggest map we’ve ever put together, but what it does is allow you to explore or prepare as much as you’d like before you want to proceed with the story. There are still linear sections and points of no-return, but for a good portion of the game you can backtrack and search for side objectives. Are you hyped for this survival horror by Tango Gameworks? Let us know below.